Join us for an important gathering of food industry leaders from the Midwest. ​Involvement in this campaign provides a number of very valuable benefits for these industry supporting organizations. A portion of the revenue generated through this initiative is a critical part of annual food industry sector funding and support. This allows Global Midwest Alliance to pursue and fund groundbreaking, innovative programs that will help support, expand and enhance the success and impact of companies throughout the Midwest, with a strong focus on the currently critical areas of innovation, sustainability and global growth. MAY 9, 2017 | 5:30-9:00 P.M.
the Ad Journal or Donations? The 3rd Annual Midwest Food Matters Leadership Award gala will bring together leaders, suppliers and service providers from the many faces of the food industry for an evening of networking and to celebrate the impact, accomplishments and bright promise for the future of the food industry in the Midwest. Whether you're an industry member, service provider or supplier to food companies, this promises to be a memorable evening of renewing friendships, making new connections for global business opportunities and celebrating our award winners. 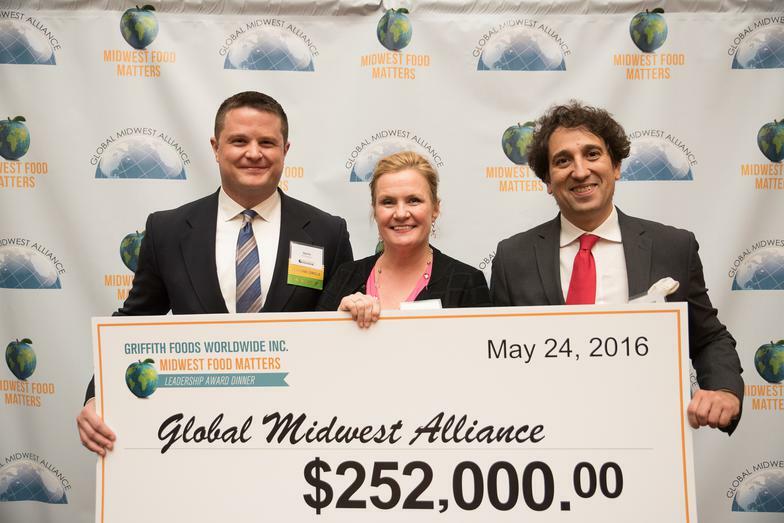 2016 Honoree Griffith Foods Worldwide Inc.